We were able to easily get to watch practice from an unprotected area inside the circuit: on the approach to Maggots, I think. 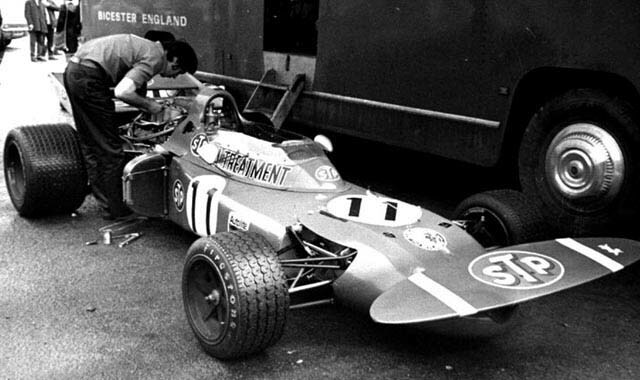 Siffert in the gorgeous BRM P160 that came dressed as a scent bottle, Amon in the flute-like Matra, Pescarolo in the Williams March 711, discretely displaying a tiny Courage cockerel on the side of the cockpit. Back in the paddock we were able to get in everyone’s way, no problem. My bargain basement Zenit SLR was almost overheating. Close-ups of Pedro, and Seppi talking to Andrew Ferguson, JYS and Tim Parnell. 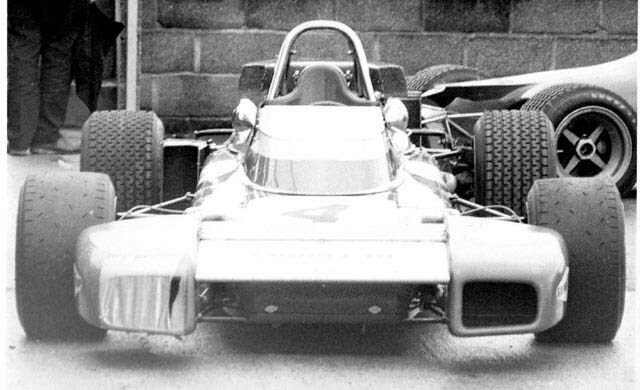 Lobster-claw Brabham with one nostril taped. 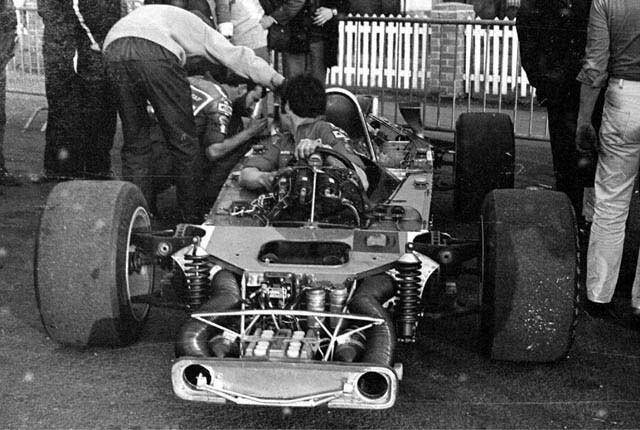 Adjustments to the Ronnie’s Alfa-powered 711. We watched some more practice from the outside of Copse. Wee Jackie was spectating from the prohibited area in front of us with a bloke with a silly perm. (After a while I realised it was George Harrison.) 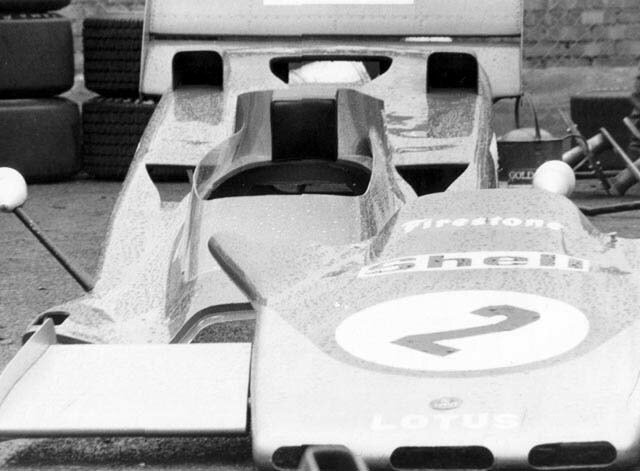 The gas-turbine Lotus glided unimpressively by… a bit of a heat haze and an uninspiring woosh. Practice all over, we went back to the paddock. There was still much activity, especially around the turbine Lotus. 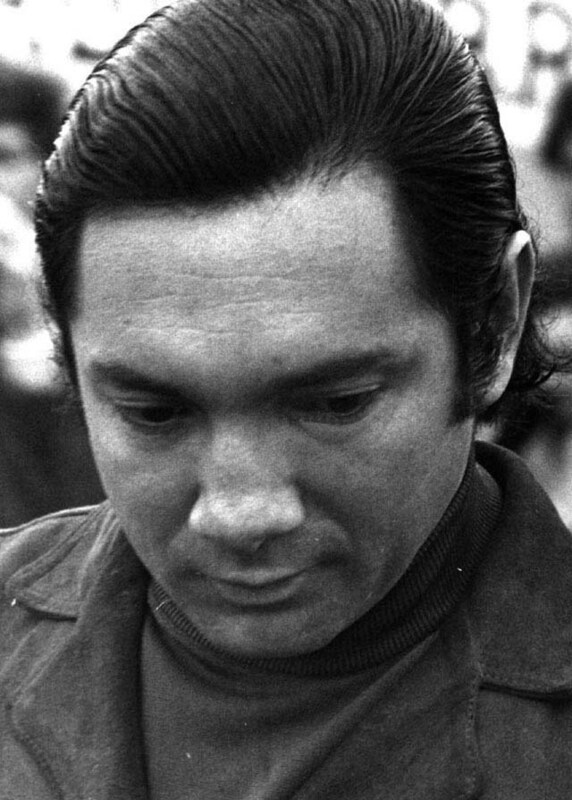 It might have sounded silent and innocuous out on the circuit… but when you stood next to those revs as the mechanic wound it up, bodywork on the ground next to it… a different matter altogether. We found an empty St John Ambulance tent on the outside of Becketts: it became our accommodation for the night. Our slumbers were interrupted at about 2.00 am by the sound of vehicular activity close by, accompanied by various unearthly clanking and clinking noises. When all was quiet again we peered outside… a fully stocked Coca Cola stand had seemingly landed from outer space. Well stocked with soft drinks, we took up position at Copse Corner for the day. That year the GKN had joined the Daily Express in sponsoring the International Trophy, and the race had been split into two parts. 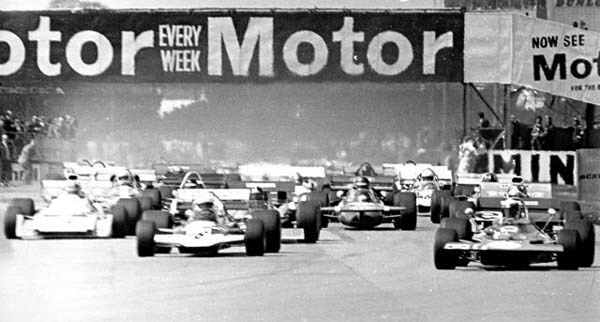 The F1 field was topped up with F5000 cars of rather varying standard. 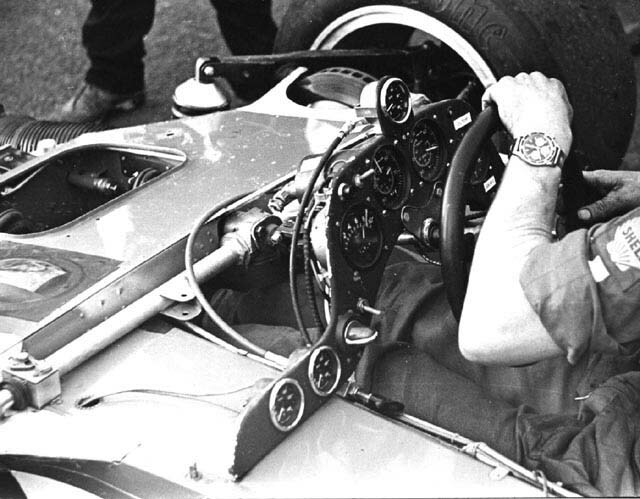 The first race was one of those that Jackie Stewart chose to render uninteresting by winning rather too easily. 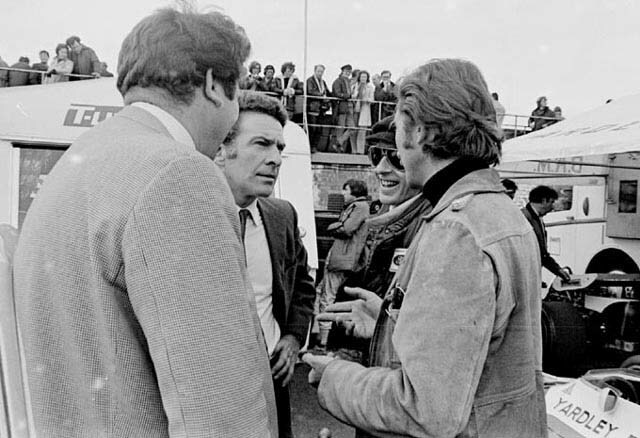 The only thing I can remember is that Ronnie crashed the March-Alfa heavily at Becketts, knocking himself unconscious. In part two of the International Trophy JYS provided a little more entertainment for us at Copse than he might have wished. 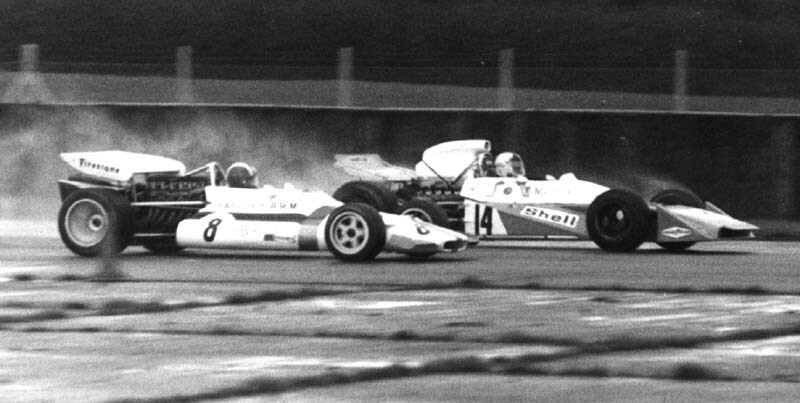 As the field screamed towards us, the Tyrrell suddenly became engulfed in tyre smoke as Jackie battled against a stuck open throttle. I tried to get a few shots through my grotty Dixon’s 400mm lens, struggling to maintain focus before the Tyrrell thumped into the bank immediately in front of us. 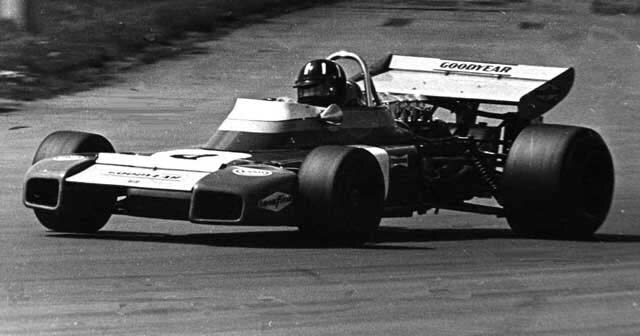 Graham Hill went on to win the aggregated pair of races in the Brabham BT34… his last F1 win. Later I watched the Stewart crash sequence on TV. The television camera man had been directly in front of us, and what I watched now was an exact recreation of what I had desperately trying to follow through my camera viewfinder.